Trans-resveratrol is an enormously exploited stilbene exhibiting a broad spectrum of biological activities. However, commercial production to meet the demand and supply is very difficult as it is largely extracted from plants such as Polygonum cuspidatum making it very expensive. 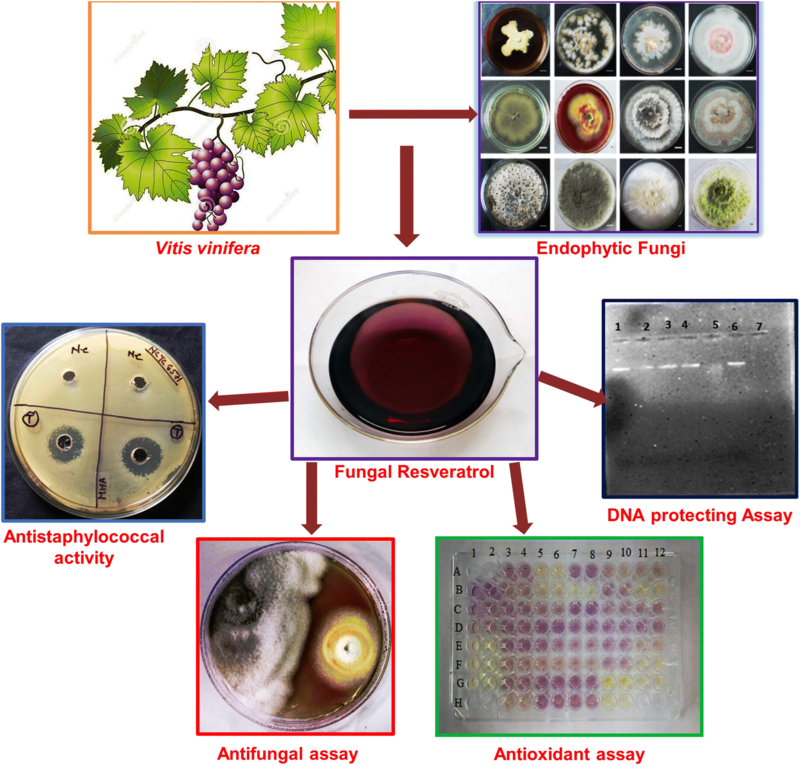 In the present study, resveratrol-producing endophytic fungi have been investigated for their in vitro antioxidant, antifungal and anti-staphylococcal activities. All the four fungal endophytes exhibited significant resveratrol production in the range of 31.3–89.1 mg/L in liquid cultures which was evaluated by high-performance liquid chromatography analysis. The endophytic isolate #12VVLPM in the present study exhibited strong antioxidant property in case of 2,2-diphenyl-1-picrylhydrazyl, Trolox equivalent antioxidant capacity, metal ion chelating, Nitric oxide radical and Hydrogen peroxide with IC50 values of 0.11–4.96, 0.28–2.16, 0.12–1.33, 0.08–1.35 and 0.12–1.18 mg/mL, respectively. The maximum inhibition (57.76 ± 0.82%) was exhibited by #12VVLPM against Botrytis cinerea. The present result shows strong correlation between antioxidant activities, anti-staphylococcal as well as antifungal activity. Significance Statement Resveratrol is extensively being used as a therapeutic moiety, as well as a pharmacophore for development of new drugs due to its multifarious beneficial effects. In the present study, resveratrol-producing endophytic fungi have been investigated for their in vitro antioxidant, antifungal and anti-staphylococcal activities. 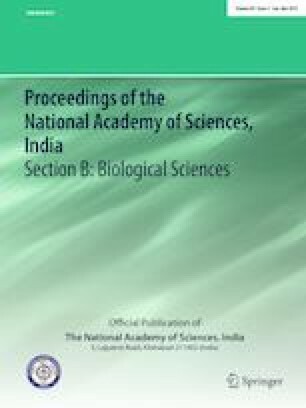 The authors thank to the Department of Biotechnology (DBT), Government of India, New Delhi, for financial assistance through Project No-BT/PR9094/NDB/39/378/2013 and to Thapar Institute of Engineering and Technology, Patiala, Punjab, for providing the necessary infrastructure to carry out the research work. They also acknowledge Mr. Saurabh Rawat Assistant Manager, Sula Vineyards Pvt. Ltd. Nashik India for providing samples. Prof. SS conceived and designed the present study, while VD performed all experiments, analysed the data. Prof. SS and VD jointly wrote the publication. The authors declare no conflict of interest to publish this manuscript.